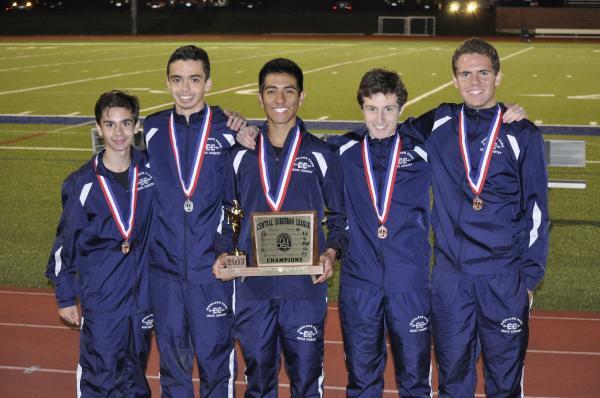 The 2017 CSL Championship Invite was scheduled to take place on Saturday at Vernon Hills High School. Due to thunderstorms and flooding, the meet was cancelled and the Varsity Race was rescheduled for Monday. All of the HP team members were disappointed in the cancellation as they were each ready to race in the adverse conditions. The rescheduled CSL Varsity Races on Monday allowed for more than the usual 7 runners to compete from each school. 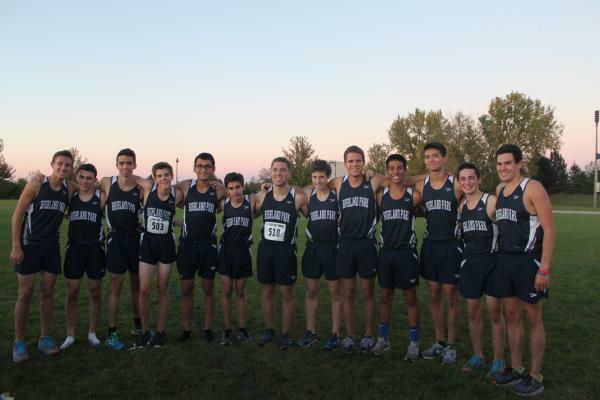 The Giants had 13 athletes that raced on the still wet and muddy Vernon Hills course. When the gun went off the HP top pack got out well. As they came through the first 400 the were in good position despite a pack from both Deerfield and Glenbrook North being in front of them. 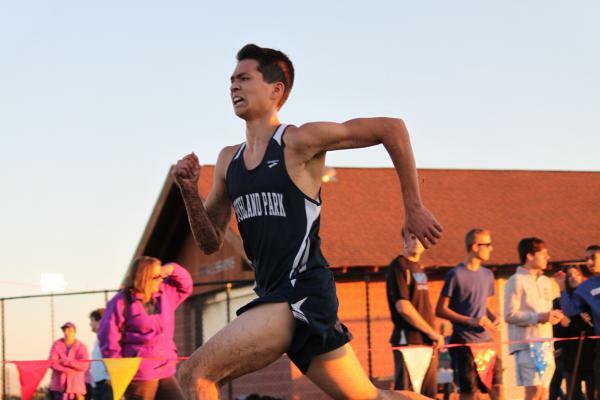 By the time they got to the mile, HP started to take control of the CSL North competition as junior Jose Reyes and seniors Fitz Laurie, Nate Amster, and Alec Glazier moved up and were behind just a few runners from the CSL South. Amster started to break away from the chase pack with Reyes and Laurie close behind. Glazier started to lose some ground during the second mile, but was still one of the top runners from the CSL North as he had his best first half of a race compared to the past few meets. Behind Glazier, junior Jordy Mazza had a strong start to put himself in position to have a chance to be All-Conference despite being injured and not competing in the past few meets. Battling close to him throughout the race was freshmen Jason Polydoris. 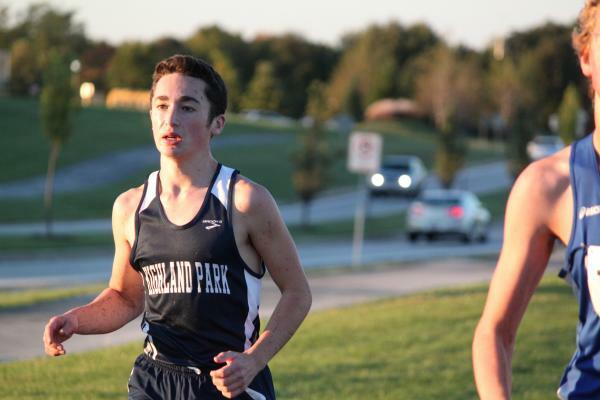 He was having a breakthrough race as he earned a Varsity spot after his performance at the Wheeling Invite. Not far behind Polydoris and Mazza early in the race was senior Sebastian Arias. 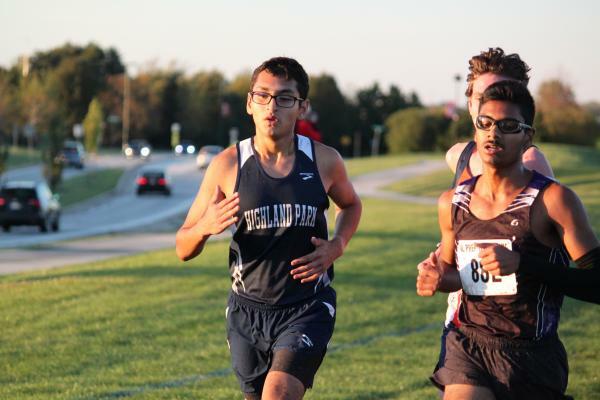 As the race was moving through the final mile it was Reyes that took control of the race for the North Division and was closing on a Niles North runner from the South Division in front of him. Amster was several seconds behind and Laurie was starting to fade with a half mile to go. 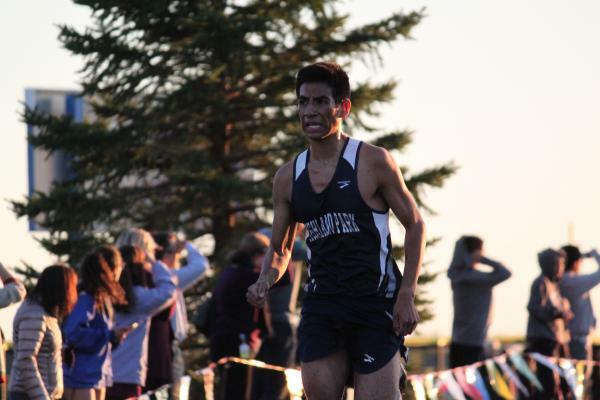 As the leaders came through the final stretch of the race, Reyes was giving all he had as the muddy course was sapping the energy from his legs. Laurie had a monster kick to catch up with Amster and move just in front of him with the finish line in sight. In the end Reyes held on to win the CSL North Individual Championship with Amster battling back to take the runner-up spot and Laurie right behind him in 3rd! 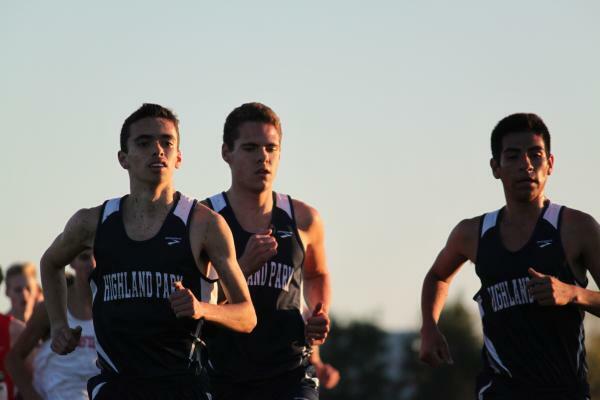 HP takes 1-2-3 in the CSL North Division with times of 16:05.5, 16:07.6, and 16:08.6. These 3 runners showed tremendous focus and mental toughness to accomplish such an awesome feat. Glazier battled through the mud to finish closer to the team’s front pack then he has in the past several meets. 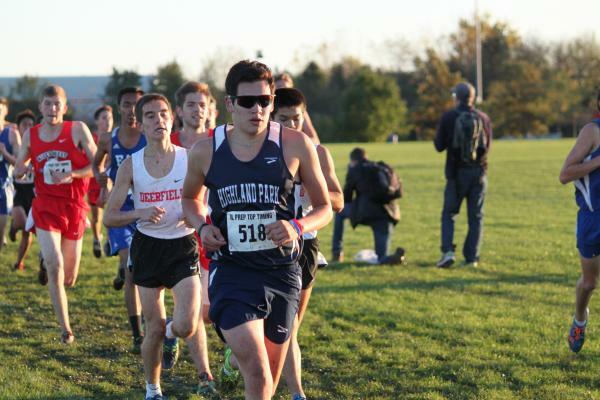 He took 6th place in the CSL North with a 16:44.64. It was great to see him with the pack for a good portion of the race and also show a lot of fight as he continues to work his way back up to where he knows he belongs. The next few meets will be exciting to see as Glazier will continue to improve. The battle for the final All-Conference spot was extremely tight as 7 guys finished within 8.1 seconds of each other in 12th-18th place! Polydoris ran an amazing race and timed his kick perfectly to take 14th place for the final CSL North All-Conference spot. He ran a personal best time of 17:06.24 and was the only freshmen in the division to earn All-Conference! Mazza gave it all he had even though he has been recently battling a foot/lower leg injury. He fell short of his goal but showed everyone the type of competitor he is as he fell in exhaustion and pain after the finish. 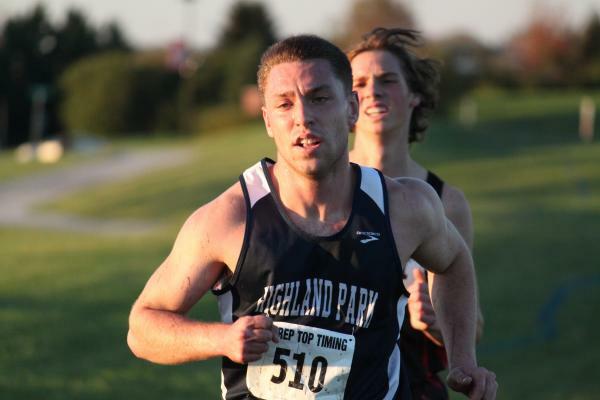 Mazza was disappointed with his 18th place finish (17:10.82) but all of his teammates and coaches were so proud of the way he raced and represented Highland Park. He is a tremendous example of grit and toughness on the cross country course. Arias rounded out the team’s top 7 as he battled to finish in 26th with a time of 17:42.84. He finished in front of every other CSL North team’s 6th runner. Junior Richard Heller had a slow start but focused on moving up through out the race. He ended up taking 32nd place in the North Division with a time of 17:53.15. Freshmen Erik Anderson ran tough to finish in his second fastest 3 mile time ever with an 18:06.3 to take 37th. 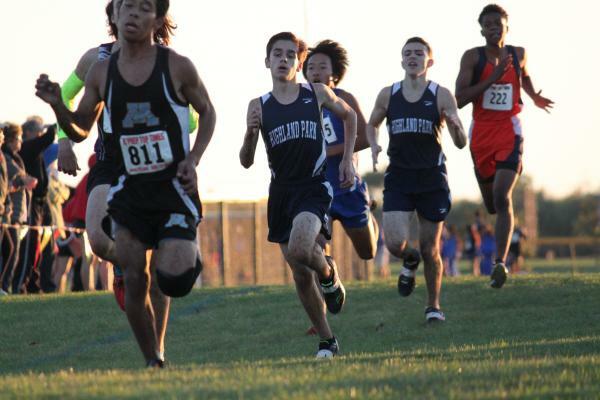 He was the 6th freshmen in the race for the division! 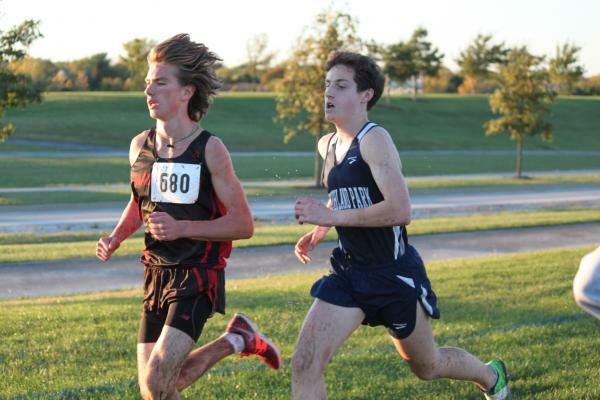 Despite the slow muddy course junior Sam Lothan ran a personal best with an 18:16.9! He finished in 43rd place. The next finisher in for the Giants was junior Jack Schulman with an 18:37.1. 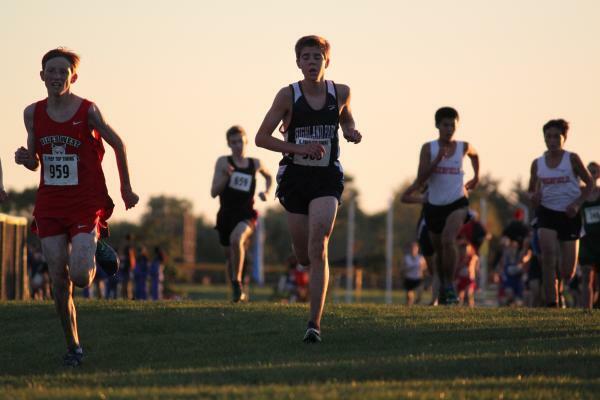 He was followed by another junior, as Jack Casey ran 19:28.91. 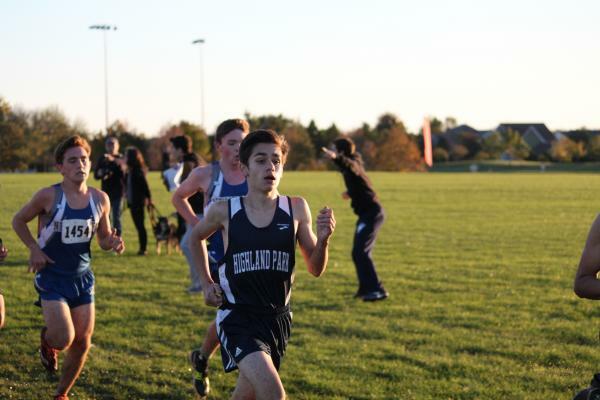 Senior Alex Frank showed his toughness and determination in his final CSL Invite as he lost a shoe early in the race. He still fought to give it his all as he finished in 19:56.64. 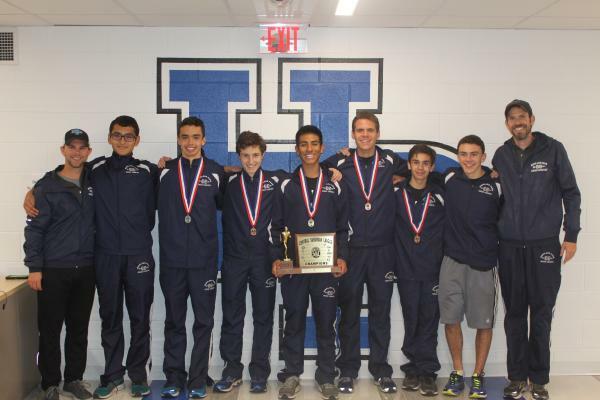 The team ended up scoring just 26 points to win their 3rd consecutive CSL North Conference Championship! It was great to see the team have this level of success despite the adversity that is faced throughout a season. The coaches are so proud of the way the team competed and embraced the challenge of the course conditions and their competition. HP ended up 3rd overall: Maine South 59, New Trier 69, and HP 79. The team knows they need to improve and put together an even better TEAM race to be able to reach their goals heading into the State Series. They must commit to being RELENTLESS in everything that they do to prepare themselves for success! 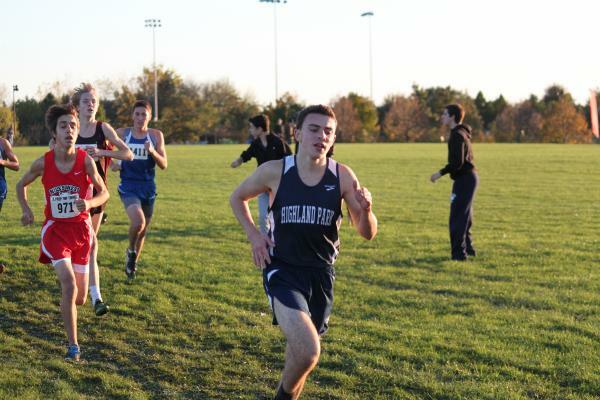 Nate Amster Qualifies For IHSA 3A State Cross Country Meet!